Kyle Straker volunteered to be hypnotized at the annual community talent show, expecting the same old lame amateur acts. But when he wakes up, his world will never be the same. Televisions and computers no longer work, but a strange language streams across their screens. Everyone's behaving oddly. It's as if Kyle doesn't exit. Is this nightmare a result of the hypnosis? Will Kyle wake up with a snap of fingers to roars of laughter? Or is this something much more sinister? Mike A. Lancaster lives in Cambridge, England with his wife and children. 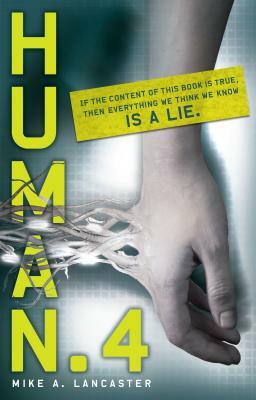 "Human.4" is his first novel for children."